Like friends who help each other, the Gila Woodpecker and the Saguaro Cactus (Carnegiea giganteus, f/k/a Cereus giganteus)make good neighbors. A photogenic icon of the hot desert, the Saguaro Cactus, thrives in America’s arid Southwest – is what ecologists call a “keystone” member of that hot desert community. For example, the Sonoran Desert (which overlaps Arizona, California, and parts of Mexico) hosts the equivalent of “forests” of these jolly green giants, growing amidst other succulents, xerophytic shrubs, and ephemeral flowers. But, looking at Saguaro Cactus from a distance, would you guess that these prickly-spined tree-like columns provide homes for many desert denizens, including a variety of birds? They do! The Saguaro cactus is in every way a keystone species on the Sonoran Desert’s bajadas [drainage-slope terrains]. Without it, much of the [desert neighborhood’s] richness of species would soon be dramatically reduced. For instance, many of the birds of the bajada either feed or nest (or both) on Saguaros. Gila Woodpeckers, Ladder-backed Woodpeckers, and Northern (Gilded) Flickers hollow our nest cavities that are later used by American Kestrels, Elf Owls, Western Screech-Owls, Purple Martins, and Brown-crested and Ash-throated flycatchers, as well as various species of bats. Approximately 30 bird species, most recently the European Starling, have been documented to nest in woodpecker-carved Saguaro cavities. House Finches, Chihuahuan Ravens, Harris’s and Red-tailed hawks, and Great Horned Owls use the tall cactus arms as nest sites. Saguaro blossoms are fed upon by White-winged, Mourning, and Inca doves, Scott’s and Hooded orioles, House Finches, Cactus Wrens, and Curve-billed Thrashers. Sparrows and finches consume the [Saguaro] seeds. A Saguaro whose stem is injured is subject to rapid and fatal necrosis from bacterial invasion. However, the site of the injury is an ideal place for a Gila Woodpecker to begin excavating a nest cavity. In doing so, the woodpecker may remove all of the diseased tissue [i.e., bacteria-infected soft tissue], essentially curing the cactus of what might have [become] a fatal bacterial infection. “Survival of the fittest” has been a dominating tenet of Darwinian evolution for more than 150 years now. 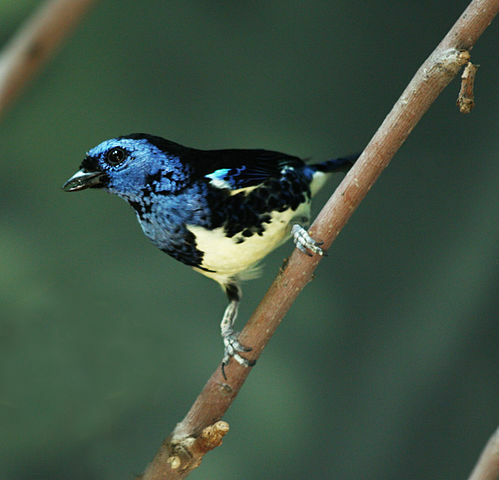 But a trio of colorful birds, living on islands off Venezuela’s coast, provides debunking evidence that, as Dr. Steve Austin would say, Darwin was wrong, when he alleged that do-or-die competition was the fundamental force that shapes nature. So how do these birds dispute Darwin? By eating! 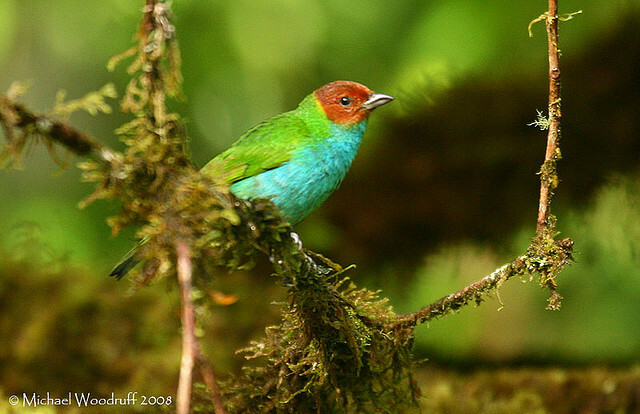 In other words, illustrating what ecologists call noncompetitive niche positioning, this tanager trio avoids antagonistic competition.1 To appreciate how this peaceful prey sharing upsets the presumptions of Charles Darwin, Thomas Huxley, and their modern ilk, it’s helpful to review why Darwin’s ideas were welcomed so fervently by academics who scoffed at Genesis. Both deists and Darwinists have misreported living conditions on Earth, yet they do so in opposite ways. Deists err on the “see no evil” extreme, underestimating the terrible fallenness of creation.2 Darwinists, however, overemphasize “conquer or be conquered” survivalism—even nominating death as nature’s hero and means of “progress”, instead of recognizing death as the terrible “last enemy” to be destroyed.3 Both extremes misrepresent nature as they actively oppose and/or passively ignore the facts of Scripture. Unsurprisingly, the true portrayal of nature’s condition is found in holy Scripture, starting in Genesis, a Mosaic book that Christ Himself endorsed as authoritative (John 5:44-47). The deists’ approach produces worthwhile observations of natural beauty, orderliness, and efficiency but then fails to account for how Earth “groans” after Eden.2 What about birds that peck other birds to death, while fighting over food and territory? That’s not beautiful! In the first half of the 1800s, deism failed to explain such ugly forms of competition, so many academics sought a humanistic theory that explained Earth’s uglier features—disease, deprivation, dying—without resorting to God’s revealed answers in Genesis. Consequently, field studies are often skewed by researchers who quickly jump to conclusions that endorse antagonistic survivalism—as if “natural law” always requires adversarial competition. Even today, modern Darwinians (both atheistic and theistic), lauding mystical “natural selection”, trumpet creation’s fallenness as Earth’s foremost feature — all the while discarding or disparaging or detouring the historical documentation that God has provided in Genesis regarding what triggered Earth’s undeniable fallenness. Meanwhile, creatures like tree-snacking Trinidad tanagers make a mockery of Darwinian dogma, as they peaceably share food. Philip Whitfield, Peter D. Moore, & Barry Cox, The Atlas of the Living World (Boston: Houghton Mifflin, 1989), pages 100-101 (quotation taken from page 100; picture portraying non-competitive eco-niche positioning on page 101). Deists believe in an intelligent Creator God, so they expect Him to make a “perfect” creation. However, because they dismiss the Bible, they imaginatively philosophize about what they think a perfect God would do with His creation—as they self-confidently assume that they know how a perfect God would think and act. Accordingly, deists are quick to recognize God’s caring handiwork in nature; they see orderliness, logic, beauty, and many good things — but they totally miss God’s wisdom as it is displayed in allowing Adam’s choice to trigger the earth’s present “groaning”, which is a temporary condition that (due to redemption in Christ) will be succeeded by a better-than-the-originally-perfect situation (that then needed no redemptive restoration by Christ). See James J. S. Johnson, Misreading Earth’s Groanings: Why Evolutionists and Intelligent Design Proponents Fail Ecology 101. Acts & Facts. 39 (8): 8-9 (August 2010). Darwinists hijacked this phrase from Lord Alfred Tennyson, In Memoriam A. H. H., Canto 56 (1849). James J. S. Johnson, Jeff Tomkins, & Brian Thomas. 2009. Dinosaur DNA Research: Is the Tale Wagging the Evidence? Acts & Facts, 38 (10): 4-6 (October 2009); James J. S. Johnson, Cherry Picking the Data Is the Pits, Acts & Facts, 44 (7): 19 (July 2015). Gary Parker, 1978. Nature’s Challenge to Evolutionary Theory, Acts & Facts, 7 (10), July 1978; James J. S. Johnson, “Providential Planting: The Pinyon Jay”, Creation Ex Nihilo. 19 (3): 24-25 (1997); Steve Austin, Grand Canyon: Monument to Catastrophe. Santee, CA: Institute for Creation Research, 1994), pages 156-159. Dr. James J. S. Johnson formerly taught ornithology/ avian conservation, as well as courses in ecology, limnology, and bioscience, for Dallas Christian College, and continues to be a “serious birder”. 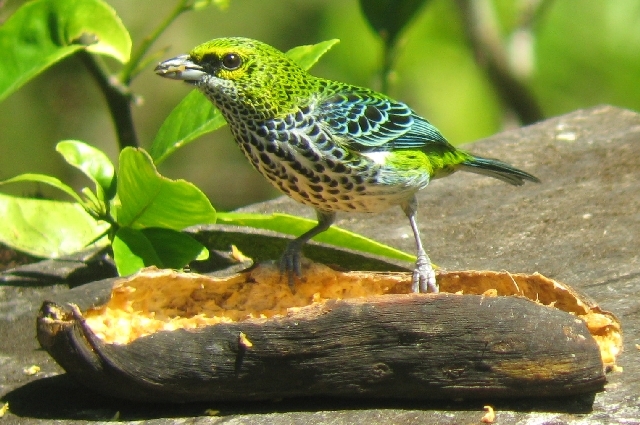 A condensed version of this creation science article appears as James J. S. Johnson, Tree-Snacking Tanagers Undermine Darwin, Acts & Facts, 45 (6):21 (June 2016).